Architectural and property photography is a highly complex business requiring artistic and technical expertise. Professional photographs make massive difference on sites such as Rightmove and On-The-Market. 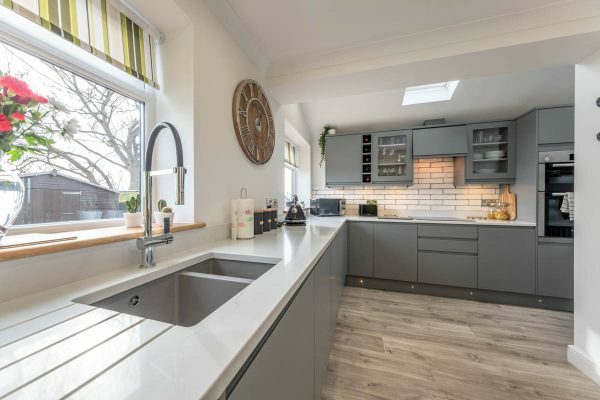 When buyers get a better impression of a property they are much more likely to arrange a viewing and you are less likely to have your time wasted by people who were expecting something else. In the hospitality industry it is absolute vital that potential clients see you property in its best possible light. They will have an almost limitless choice on-line and very little time to chose. So standing out from the crowd significantly improves booking rates. We use whatever equipment and techniques are required to get the best pictures at no additional charge. We use a mast to ensure all out externals are taken from the most appropriate height. Some properties need to be seen in their environment, while others need to be seen in an entirely natural perspective. If blue skies need to be added to pictures, we include them as standard. We don’t limit the potential of your property by limiting the sort of pictures you get. If you trust us to produce your pictures we ensure you get everything you need to highest possible standards. It doesn’t matter whether your house is £100,000 or £5,000,000, we provide the same level of service and attention to detail. We take the time to find the best angles, to clear away any items that detract from the pictures and to achieve the highest standards of post-production. You will receive exactly same high quality pictures regardless of whether you have 100 room hotel, a boutique B&B or you are just putting a couple of rooms on Airbnb. We value all our clients equally. We are based in the middle of Cheshire and routinely cover the whole of Cheshire, Greater Manchester and Merseyside, but we also take commissions from across the UK. If you would like to discuss a single commission or larger project please feel free telephone, email, text, or use our contact form.